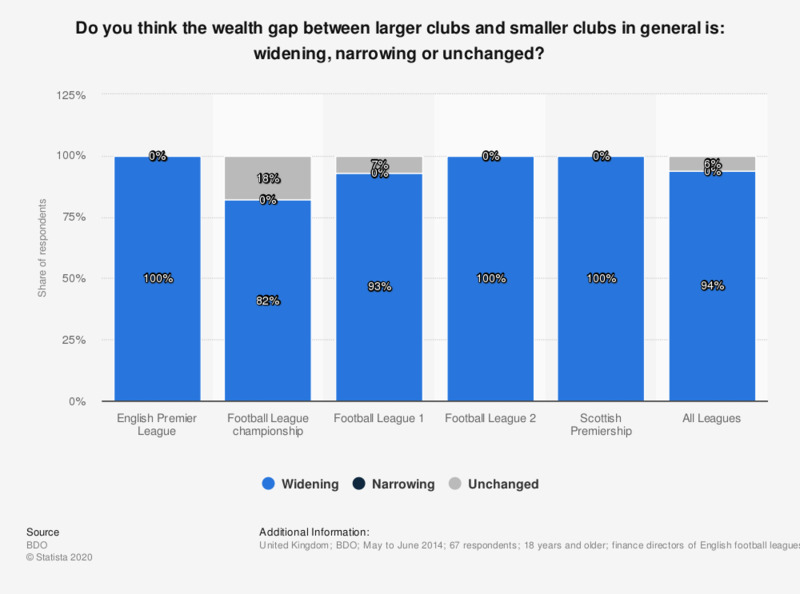 This statistic presents the distribution of opinion regarding widening or narrowing wealth gap between smaller and larger clubs within the United Kingdom football league, as of 2014. According to the majority of finance directors, the wealth gap between clubs has widened. * The source adds additional information: "A total of 67 interviews were completed with finance directors in the English Premier League (EPL), English Football League Championship (FLC), Football Leagues One (FL1) and Two (FL2) and the Scottish Premiership (SP)."